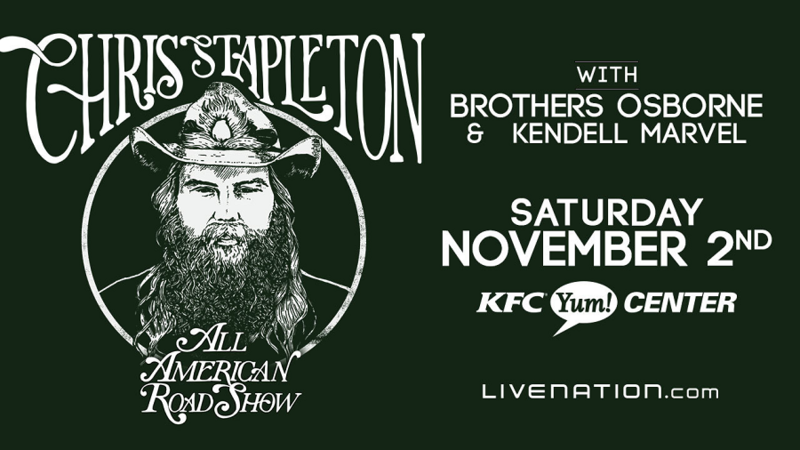 93.3 WKYQ is proud to announce that Chris Stapleton is coming home to Kentucky! Chris will be in concert in Louisville at the KFC Yum! Center on Saturday, November 2nd with special guests Brothers Osborne and Kendell Marvel! Tickets are on sale now! Click here to purchase your tickets, and listen to the Rabbit Station for your chance to win free tickets! There’s only one for the hottest country concerts: 93.3 WKYQ! Previous story BACK 2 BACK JACK…IS BACK!